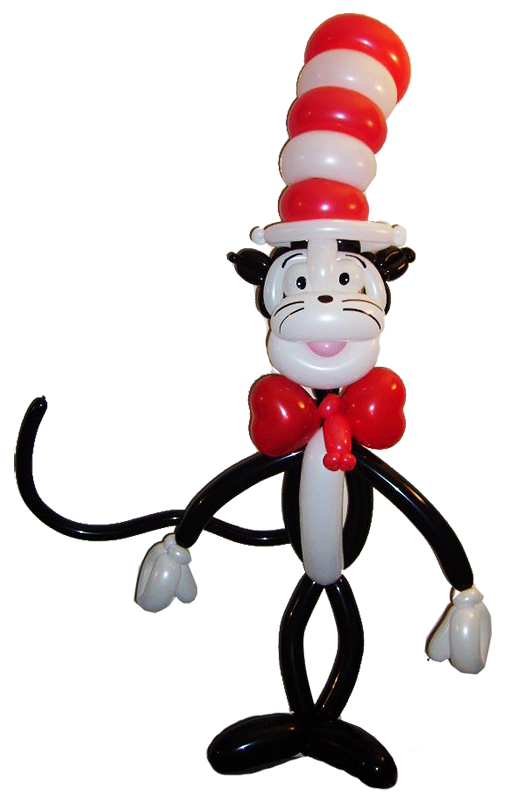 Ottawa Balloons | Bring the Wonder & Magic of Balloons to your next event! 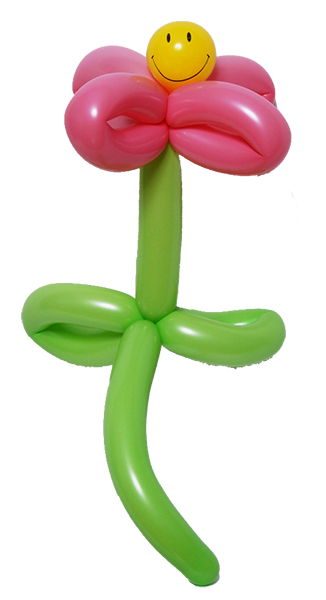 Bring the Wonder & Magic of Balloons to your next event! 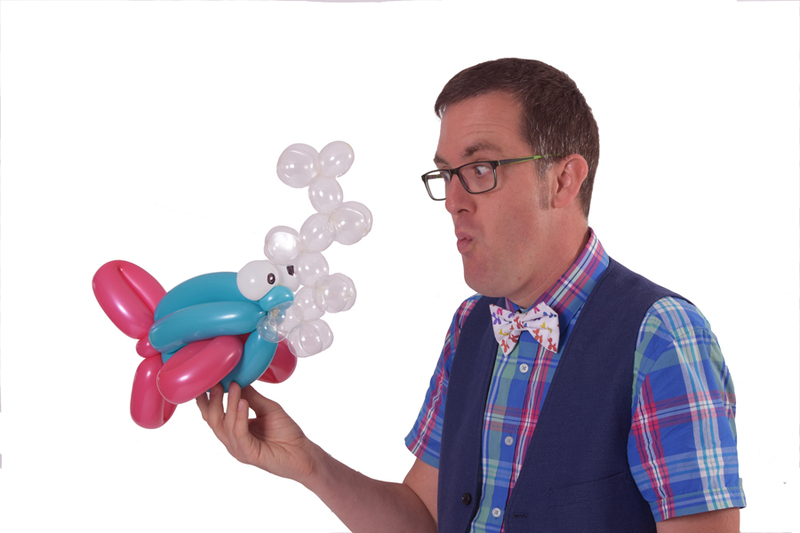 Brad has been delighting audiences since 2005 with his wild balloon creations and ridiculous sense of humour. 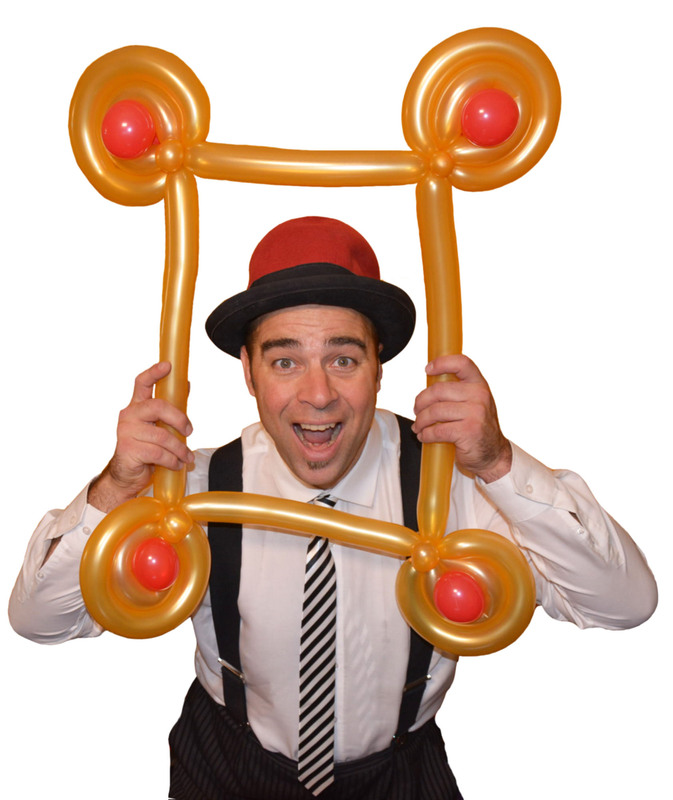 Brad performs stage shows and makes balloon creations at approximately 200 shows and events per year. Whether it’s a birthday party, corporate event or festival, Brad is a big hit with both kids and adults. 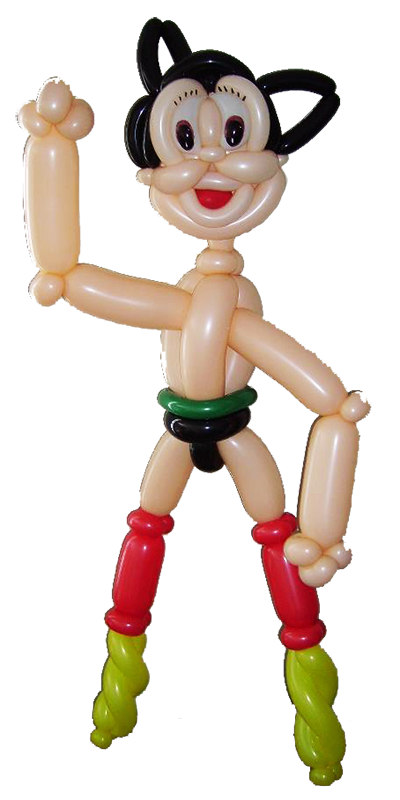 His ability to create almost anything out of balloons with a friendly smile and great attitude, makes him an amazing addition to any event. Brad the Balloon Guy has created everything from adorable ladybugs that you can wear on your wrist to life size Star Wars figures for his clients. 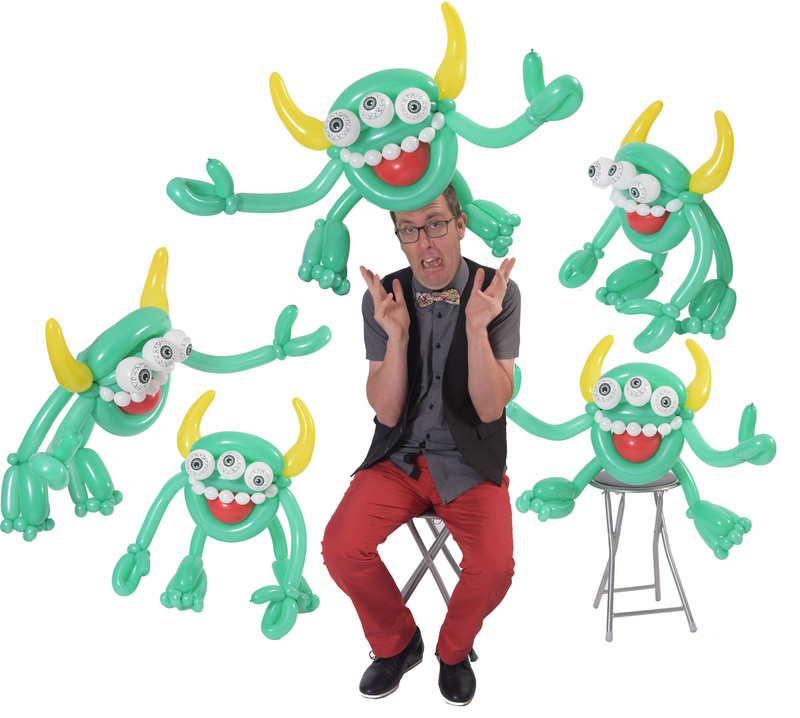 He happily creates balloons on the spot, and can create custom figures and sculptures for decor or giveaways. Not only is Brad a popular family entertainer in Ottawa, he also regularly performs at festivals and events across Canada. 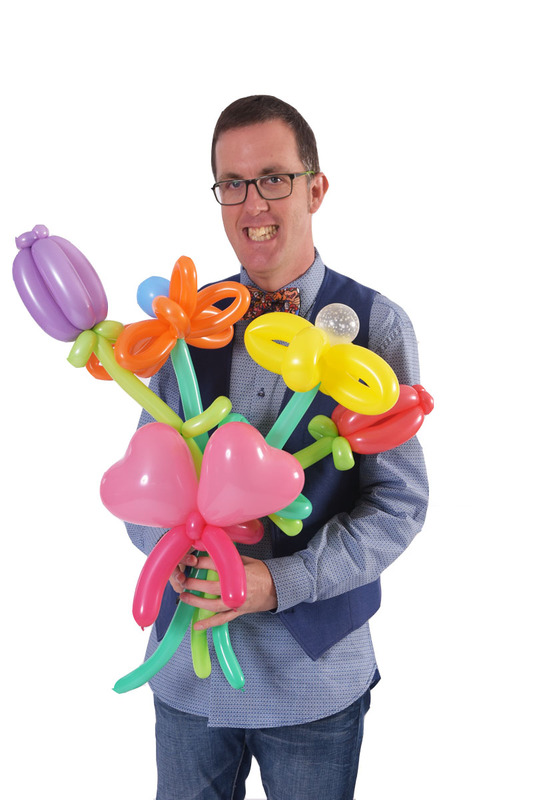 Brian has been working in the event industry and creating balloons for over 20 years. Brian met Brad at Brad’s first ever balloon gig, and since then has been helping create balloons at large scale events. You might’ve seen Brian twisting at The Mayor’s Christmas Party, the Ottawa Children’s Festival or at countless other community and corporate events. We can provide amazing, by request, creations for the crowd at your corporate event, festival, private event or school BBQ. 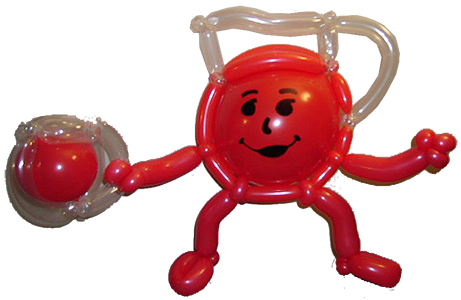 We scale the creations to make sure that everyone gets a balloon, or so that everyone walks away with an amazing balloon creation! From basic creations to advanced, from balloon swords and dogs to Spiderman, monkeys’ on trees, and ladybugs on wrists – the possibilities are endless. Check out the “Line Work” gallery for some samples of our work. 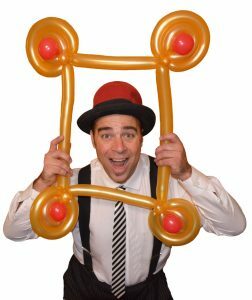 Brad delivers a hilarious, balloon focused show that will keep the kids (and parents) engaged and laughing the whole way through. After his show, Brad custom makes balloons for all of the kids in attendance; Spidermans, ladybugs, pretty flowers, light sabers, Pokemon, superheroes and more. 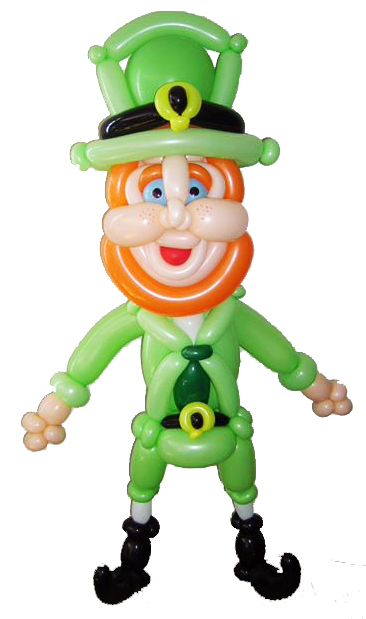 Total party time is usually an hour (including balloon creations for the kids after, and don’t forget to ask about his special custom creation for the birthday child at no extra cost. Treat your loved one to a super fun, once in a lifetime birthday party. 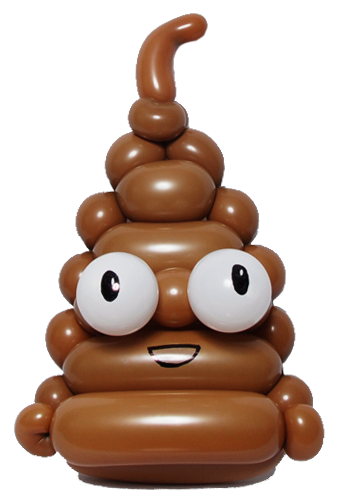 What would you love to see sculpted out of balloons? A life-size clown, a 50 foot long dragon, Star Wars Characters, a full size Ecto-1 from The Ghostbusters movie?? These things have already been created by Brad. Do you have a custom logo, a character, or a parade float idea? 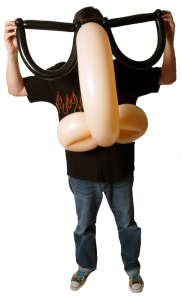 Drop us a line to find out how we can bring Giant Balloon Sculptures to reality at your next event. 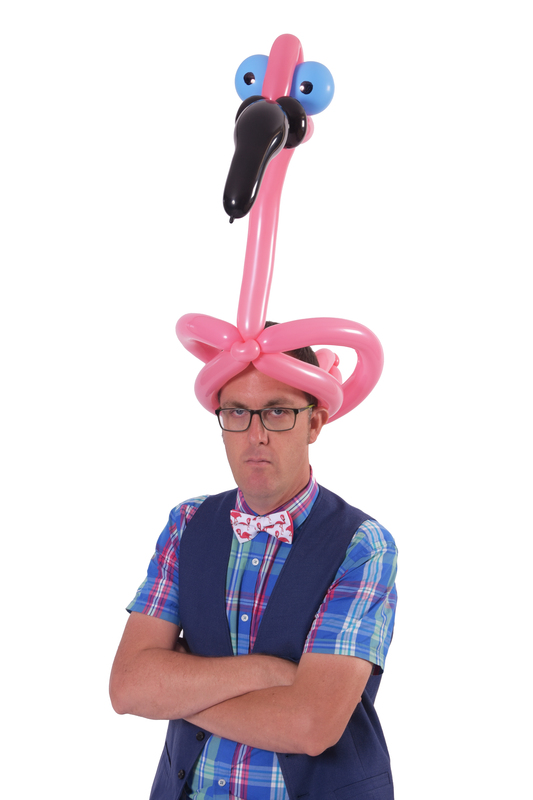 Brad the Balloon Guy puts on a one of a kind stage show combining an outgoing east-coaster attitude, a decade of stage experience, amazing balloon skills, comedy, surprises and audience participation. Be it a family audience or an after dinner adult corporate show, Brad’s unique shows will highly entertain your guests; you don’t want to miss his next hilarious stage show! 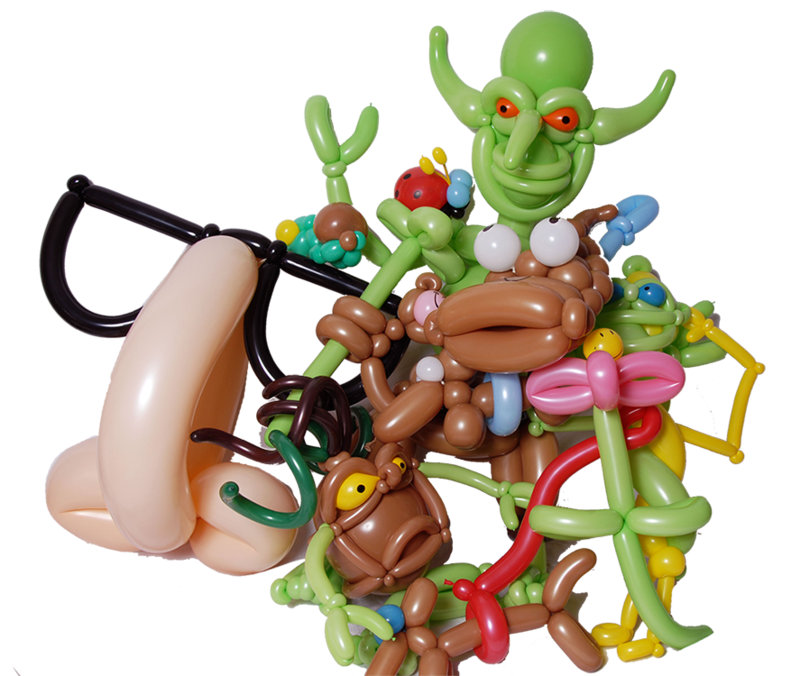 Amazing balloon creations and a super nice guy. I always recommend or book Brad in for family oriented events and festivals. I wanted to make sure that I took the time to thank you again for treating our little boy, Elias, to what is likely the best possible birthday present he could have asked for. Your patience, enthusiasm and dedication to your craft was incredible to see. Thank you. Treat your loved one to a super fun, once in a lifetime birthday party. 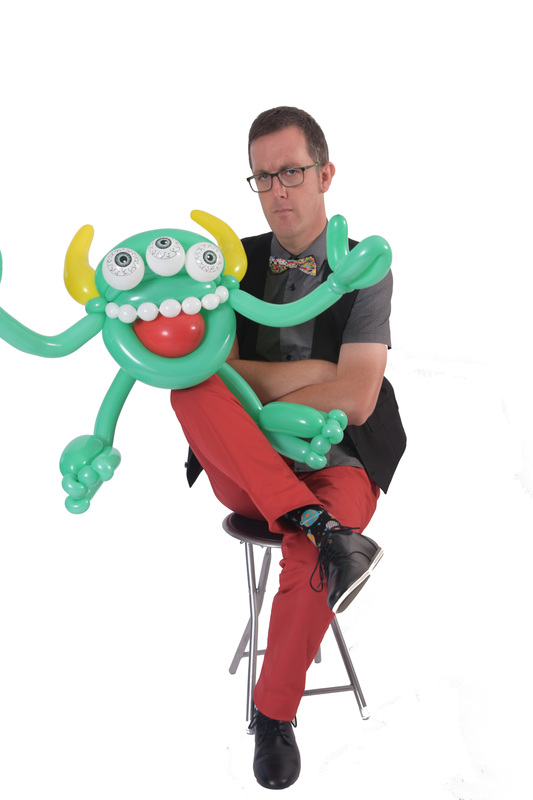 After his show, Brad custom makes balloons for all of the kids in attendance. Brad’s unique shows will highly entertain your guests; you don’t want to miss his next hilarious stage show! we’ll get in touch the next chance we get!